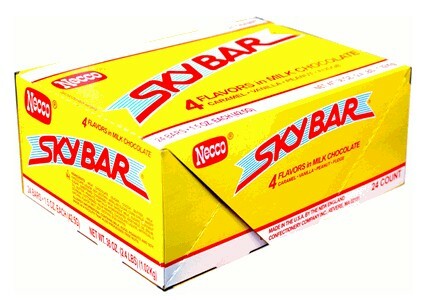 Do you remember the Necco Sky Bar growing up as a kid?? 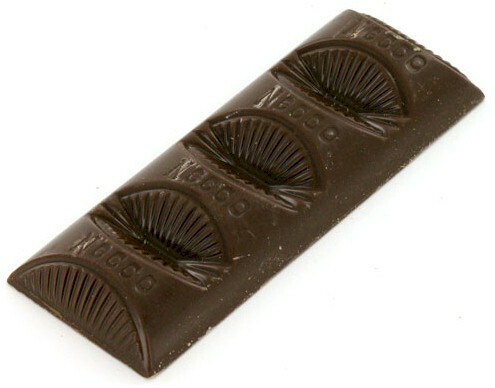 Here at FamousFoods.com, you can remember it again! 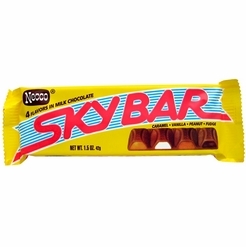 The Necco Sky Bar has four delicious centers in milk chocolate: caramel, vanilla, peanut and fudge smothered in a creamy milk chocolate. Packed: 24/1.5 oz. 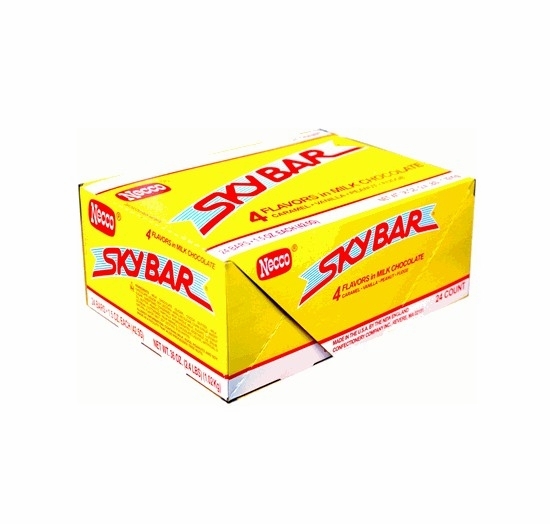 candy bars to a box. Please click the link below under "Additional Shipping Options" to add a cold pack(s) and an insulated box to your order to insure your order arrives in good condition. If your area is experiencing extreme heat conditions, we recommend the Next Day shipping option or postpone order until cooler conditions prevail. 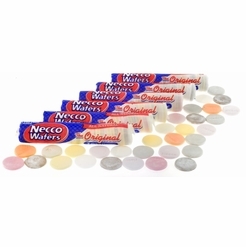 Click here to To add an Insulated Box with a Cold Pack(s) to your order.